Does your bin have flies or maggots? Does your bin have spiders? 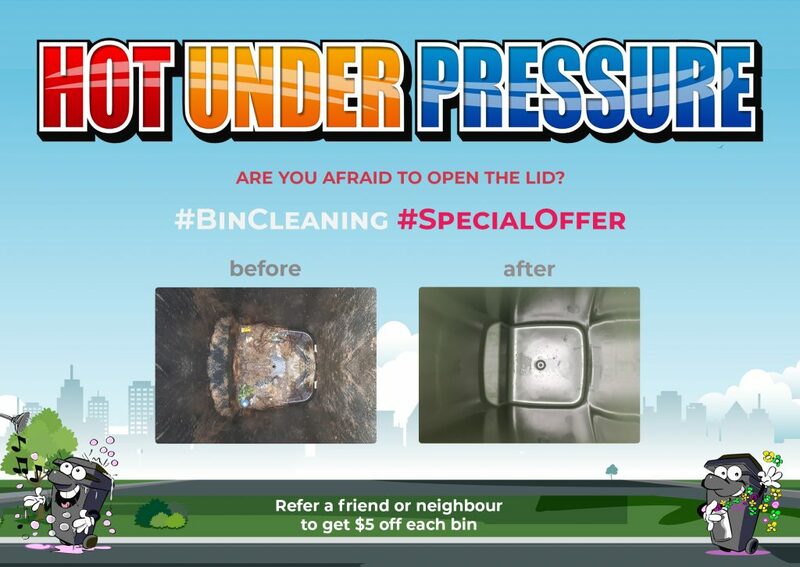 ARE YOU AFRAID TO OPEN THE LID? 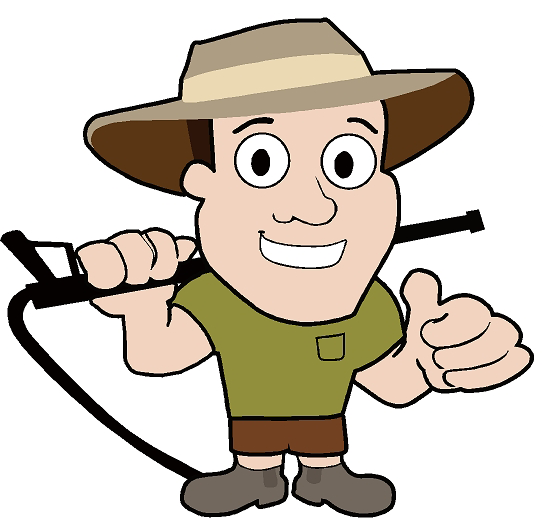 We clean it all, inside & out with our environmentally friendly service. We have a semi-auto custom cleaning system that recovers the hot water used, disinfects and sanitises. Refer a friend or neighbour to get $5 off each bin! 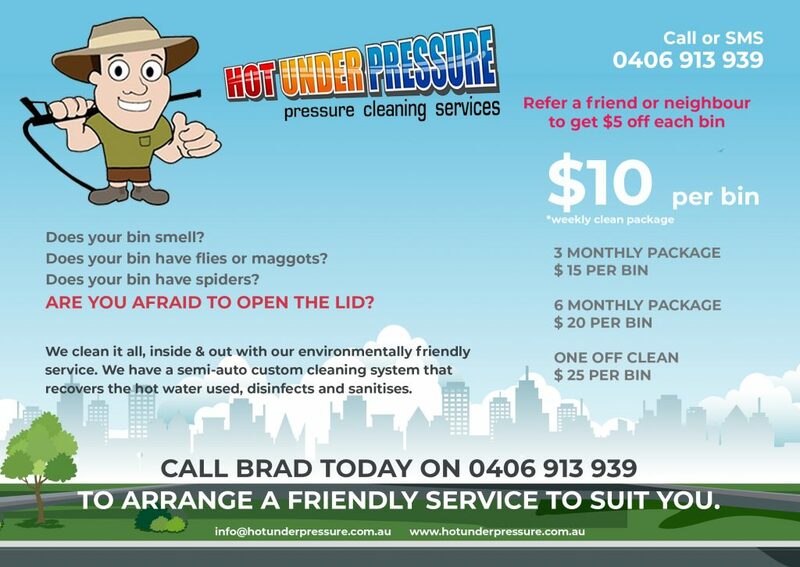 Call Brad today on 0406 913 939 to arrange a friendly service to suit you.